Can’t you get enough of exploring new fields of your game? Then you may be interested in the freshest Farming Simulator 2019 Forklifts and Excavators Mods. We have collected a wide variety of additional files to help you speed up your farming tasks. 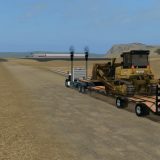 They can be really tiring and time consuming, so you definitely should take a look on how Landwirtschafts Simulator 19 Forklifts and Excavators Mods can improve it. Adding some new options really pays off because it expands your fields of possibilities. Each Forklifts and Excavators Mod Farming Simulator 2019 has explicit specifications, therefore it can assist in various problematic situations. 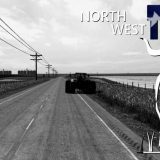 If you are not sure, if it’s worth your time, take a look at FS 19 Forklifts and Excavators Mods free files list and their descriptions, you will find many arguments why it’s useful. Moreover, it’s a great feeling to be in charge of your game development and being able to turn it in your own way. 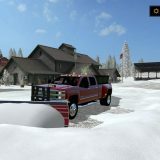 You simply try it – complete LS 19 Forklifts and Excavators Mods download and get all the advantages. No one is going to be able to overrun you with these extra improvements. You will experience much more fun too – what could be better than dealing with boring tasks faster? Improve your farms proficiency and expand it in these few simple steps. Of course, it depends totally on you how you will use these new functions. You may need re-organize your farm – this is what the best players do. Get ready for the big changes!